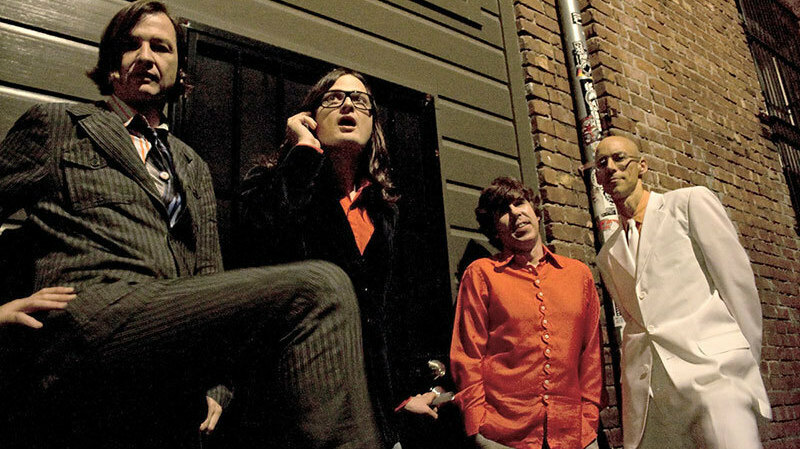 First Listen: Redd Kross, 'Researching The Blues' Stuffing 10 songs into 32 minutes, the L.A. rock band's first album in 15 years is a big, brash, vital blast of rock 'n' roll. Core members Steven and Jeff McDonald got their start playing this sort of stuff 34 years ago, but Redd Kross couldn't be farther from a dinosaur act in 2012. Redd Kross' first album in 15 years, Researching the Blues, comes out August 7. A 15-year layoff between albums generally warrants a certain amount of grandiosity: an epic return to the national stage, a bold statement of purpose, a massively ambitious undertaking that could only be a decade and a half in the making. Guns N' Roses' Chinese Democracy may not be a great record, but the thing sounds as if it had been fussed over for 17 years — it seems like the work of an obsessive madman with too many ideas, because it is. Another L.A. band is returning from an absence of that magnitude, albeit with far less fanfare, but Redd Kross' Researching the Blues (out August 7) couldn't be less lofty in its approach. Stuffing 10 songs into 32 minutes, the album just sounds like a big, brash, vital, immaculately produced blast of rock 'n' roll. Brothers and core members Steven and Jeff McDonald got their start playing this sort of stuff when they were kids a whopping 34 years ago — they once opened for Black Flag at a party for middle-schoolers — but Redd Kross couldn't be farther from a dinosaur act in 2012. Power-pop signposts abound throughout the album, from Cheap Trick to Teenage Fanclub — the latter could've fit "Dracula's Daughter" onto Bandwagonesque and no one would have minded — but Researching the Blues never delves into nostalgia. Who has time, when you're having this much fun blowing kids half your age out of the water?